Greco Brothers Lab Style dryers are built with many of the same features as our industrial-sized dryers, but with smaller heated chambers. Their modest overall size and low energy consumption makes these systems ideal for testing laboratories and other facilities with low production requirements. 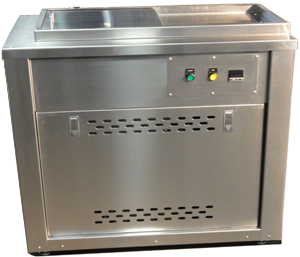 Foam-insulated, double-walled heavy-duty stainless steel construction ensures quick heat up time and long equipment life. The air in the drying chamber is continuously circulated, so unlike some dryers, that exhaust-large amounts of hot air into the room, these drying systems offer greatly reduced energy costs. Best of all, these systems are competitively priced and built to the high standard of quality you’ve come to expect from Greco Brothers..
For other dryer configurations, return to our Dryer Overview Page . Find out more about how we can provide the efficient, economical drying system you need. E-mail Greco Brothers, or call us at 401-421-9306.